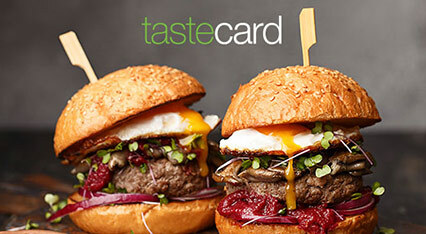 A tastecard entitles all members to 50% off the entire food bill or 2 for 1 meals at over 6000 restaurants! To say thank you for your service, enjoy a three month tastecard membership for FREE! Download the free mobile app for your three month membership! Restaurants include: PizzaExpress, Zizzi, Bella Italia, Café Rouge, ASK, STRADA, La Tasca, Byron Burger, Prezzo and many more! Click ´Get Deal´ to sign up. Your FREE Tastecard will be shipped direct to you. Don´t forget to download the iPhone or Android app when you are out and about to make the most of your Tastecard.